Is each group able to develop a hypothesis before beginning the experiment? Are students able to work together in a group to perform the experiment? Are students able to figure out how to set up the experiment? Are students able to write clear, precise observations in scientific language? For example, are they writing, "By the second day, the water is beginning to turn yellow" instead of "The water looks weird"? 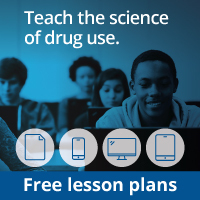 Are students able to explain what addiction is? Do they have a basic understanding of how nicotine affects the process of neurotransmission? Put each student’s log sheet in his or her student portfolio.